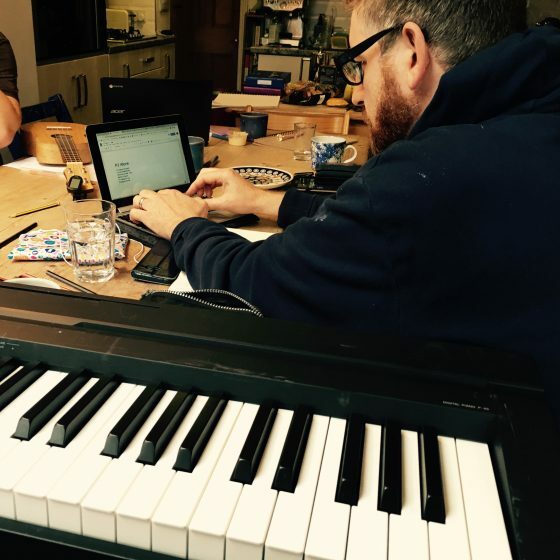 When we compose our music for our productions, the process starts around our kitchen table. Not highly technical I know, but all we need is a space to be creative and the kitchen table seems to work well enough for the germination of ideas. 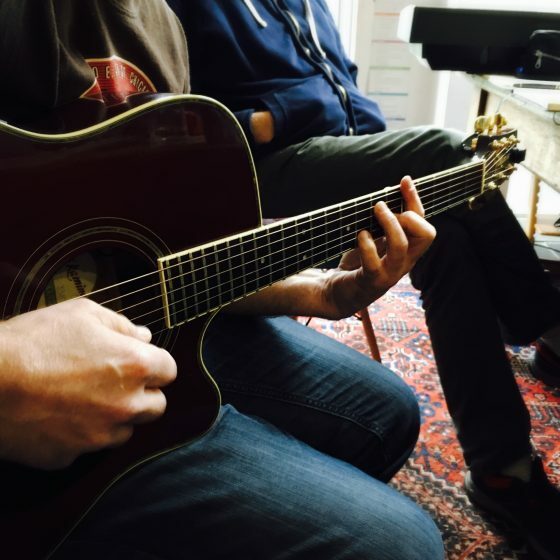 Our musical friends come together and we give ourselves a day to do most of the groundwork for the songwriting. This has to be one of my favourite days on our calendar. Within the story, we will look for the scenes that would benefit from a song or music. Often a song can take you on a journey, explain more of the storyline and convey emotion in a different way than just dialogue. Once we have figured that out and talked about what the song needs to do within that scene we will start playing with ideas. I see it as a bit like writing poetry, looking for rhyming words and finding flow within music and the words on the page. Sometimes a melody will come first and the words are written to fit the tune. Other times words just tumble out and a rhythm is then found to accompany the words. It’s about listening to one another. Responding to the moment and not being afraid of putting an idea forward for it to be used or rejected. Some songs I find spine-tingling straight from the off. That excites me, wondering how it will feel when it’s sung out into an auditorium of people. Some songs compose themselves quicker than others while some songs need more time to develop. This is after all only the beginning of the process. Matt Vale, our musical Director will then develop the musical score into something even more magical. 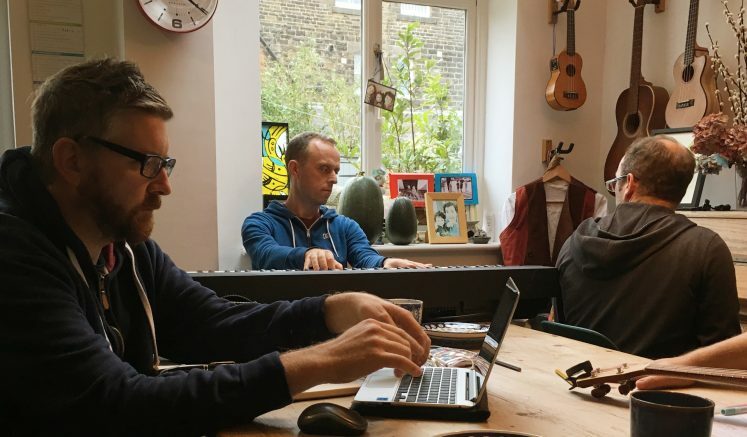 In rehearsals, the actors put their own creativity into the songs so it then transforms into very much a shared collaborative process. 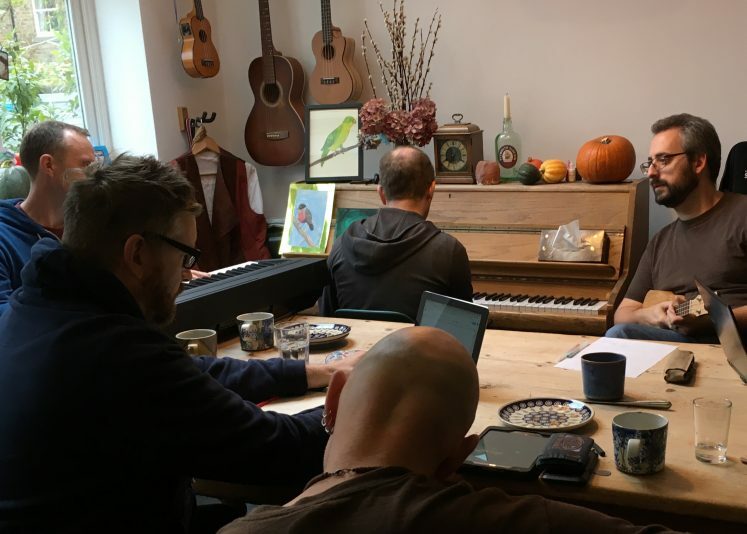 The music making process couldn’t happen without the creative input of Matt Vale, Rob Vale, James Swinburn and Bob Rushton and to them, I feel indebted.